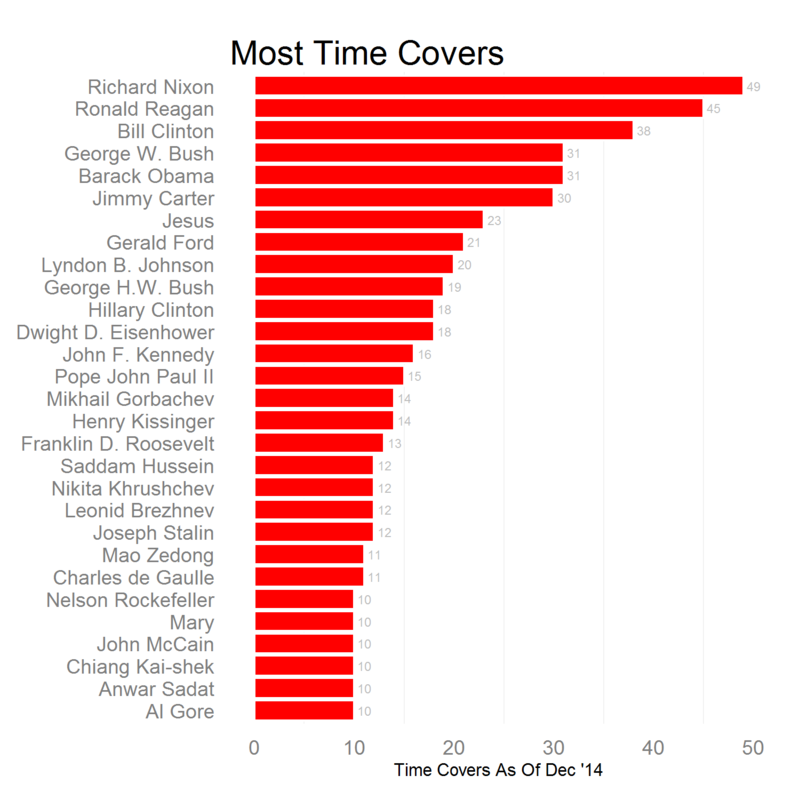 Given that Time often features people posthumously, it is significant that Bill Clinton is the third on this list. 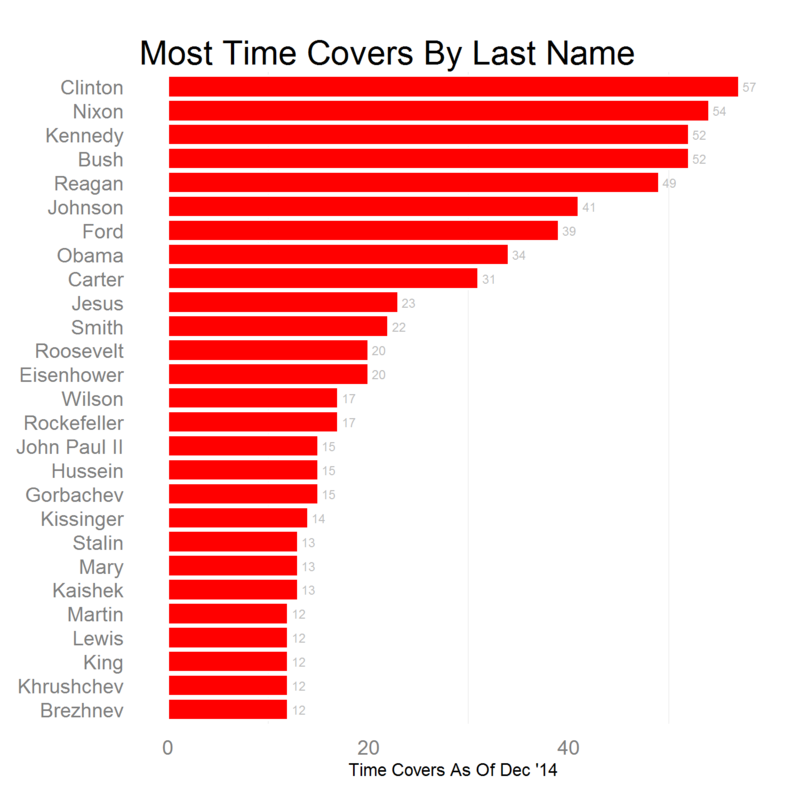 Between Bill and Hillary, they have also created a Time dynasty that beats the Kennedys and Bushs. The last name list is a reminder of how important those few families are in American political life - a point which I am sure will become increasingly obvious as Jeb Bush and Hillary begin to set up their presidential campaigns. 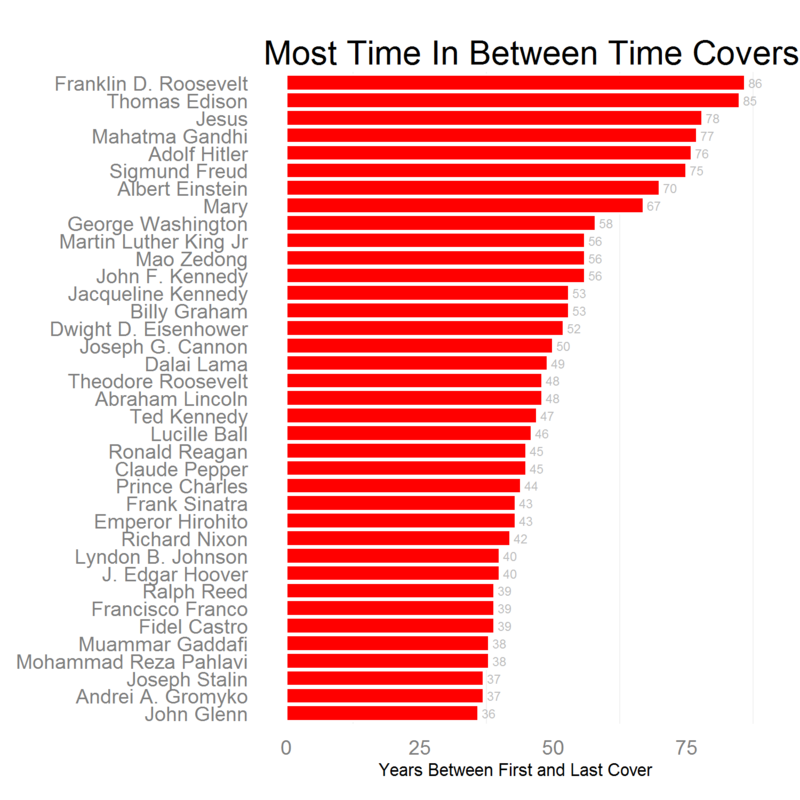 I tried many different ways to normalize the data so as not to favor figures from the more distant past. 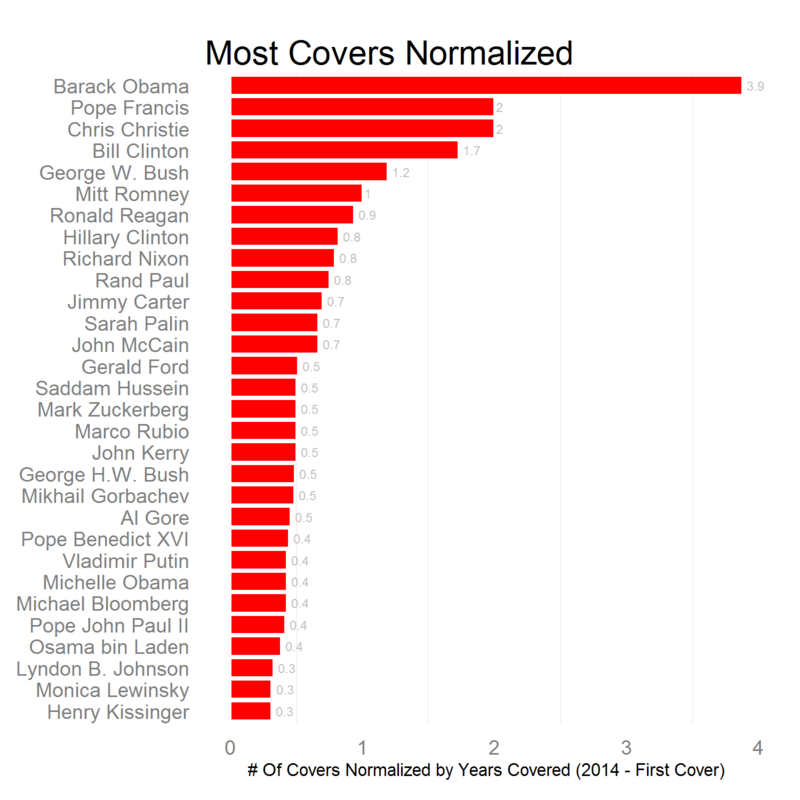 When none of those worked to my satisfaction, I ended up charting just people whose first cover appeared after 1989. Again, Bill’s legacy is apparent. 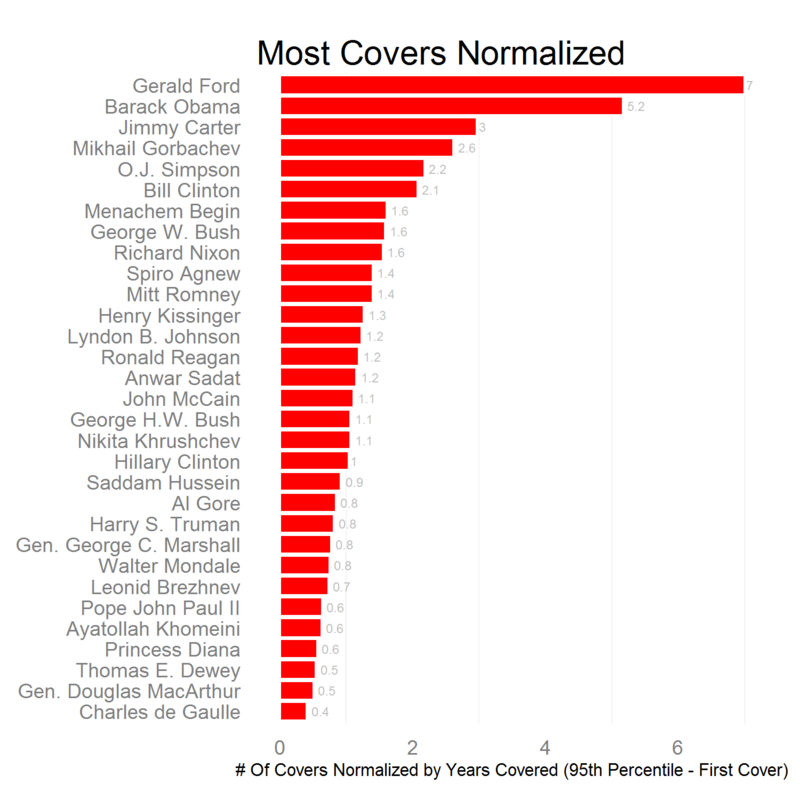 Monica Lewinsky received more covers than some of the most important political operatives of the century. If this has intrigued you at all, I encourage you to play one of the quizzes on hugequiz, or check out the online repository of covers.